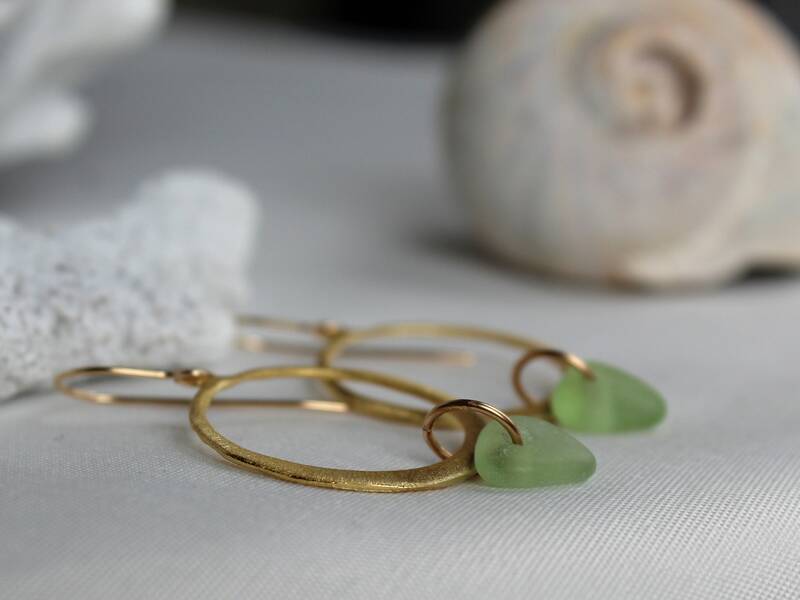 Our Verge earrings are soft and pretty for a beach wedding, and classic enough for everyday wear! 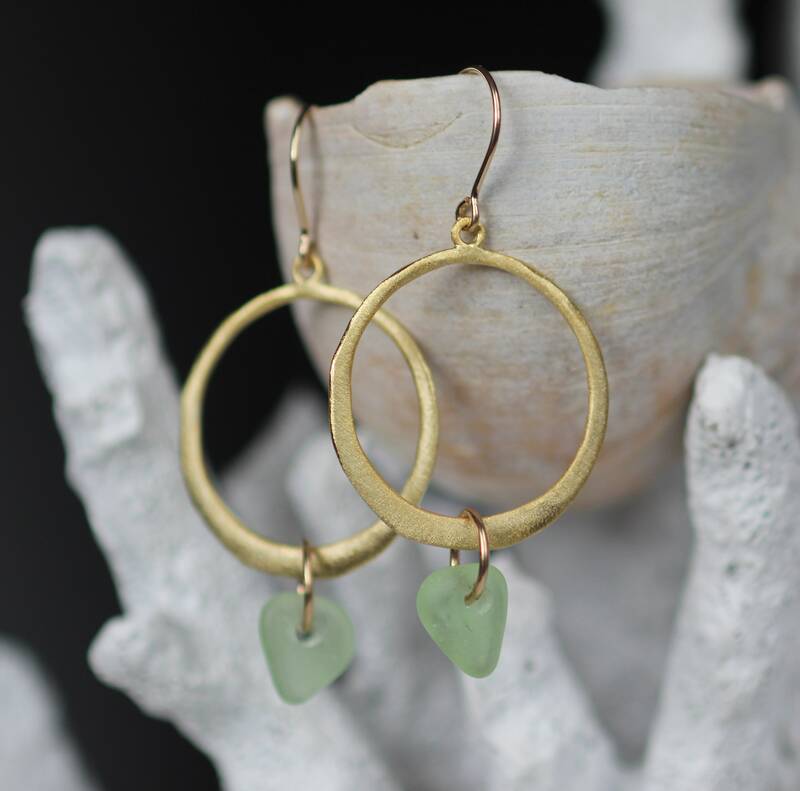 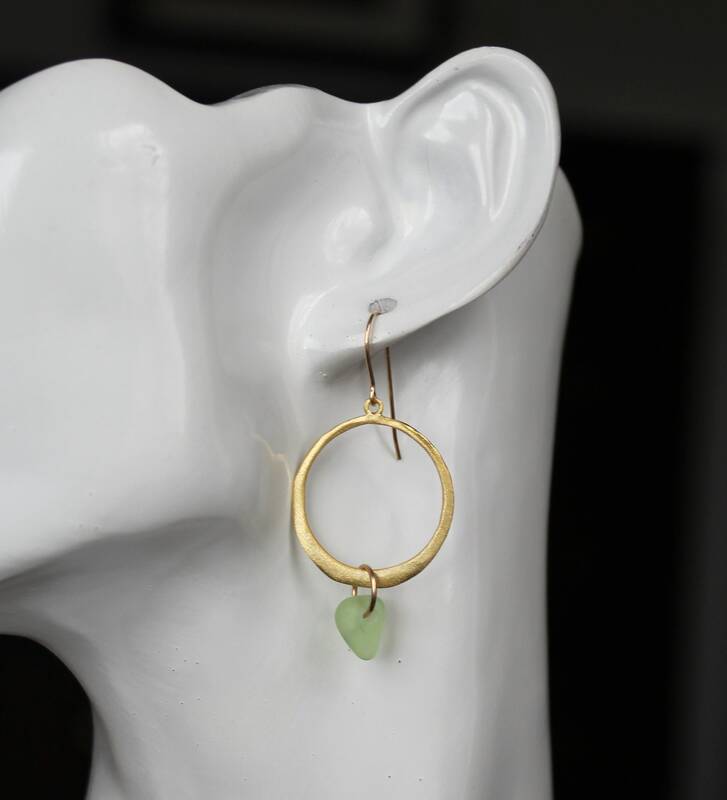 The lightweight earrings are crafted with drops of genuine aqua beach glass dangling from gold filled hoops and earwires, fit for a mermaid. 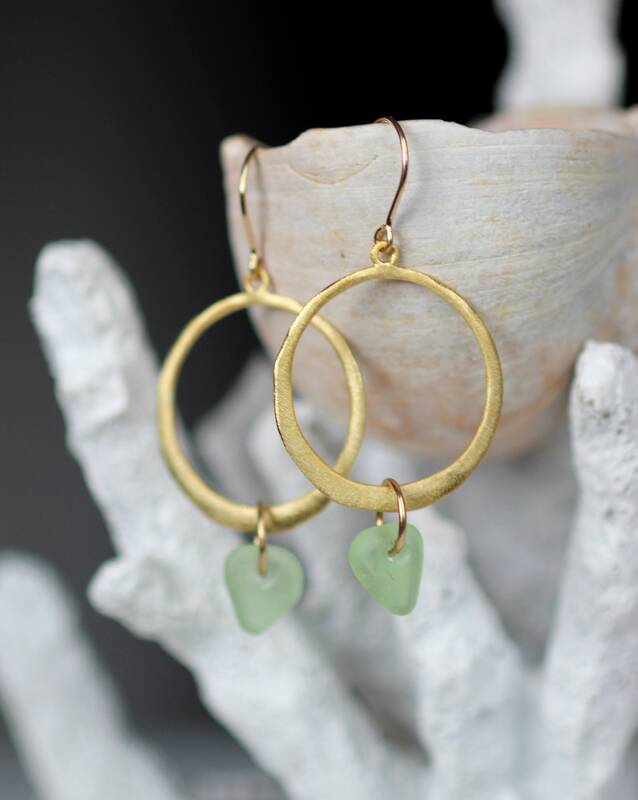 ~ All components are gold filled. 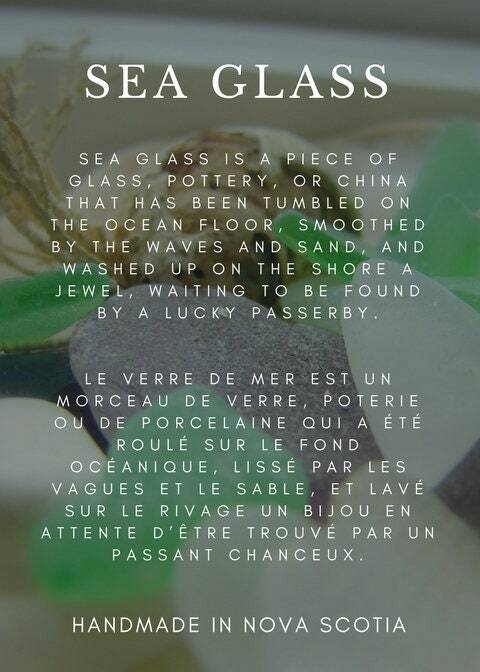 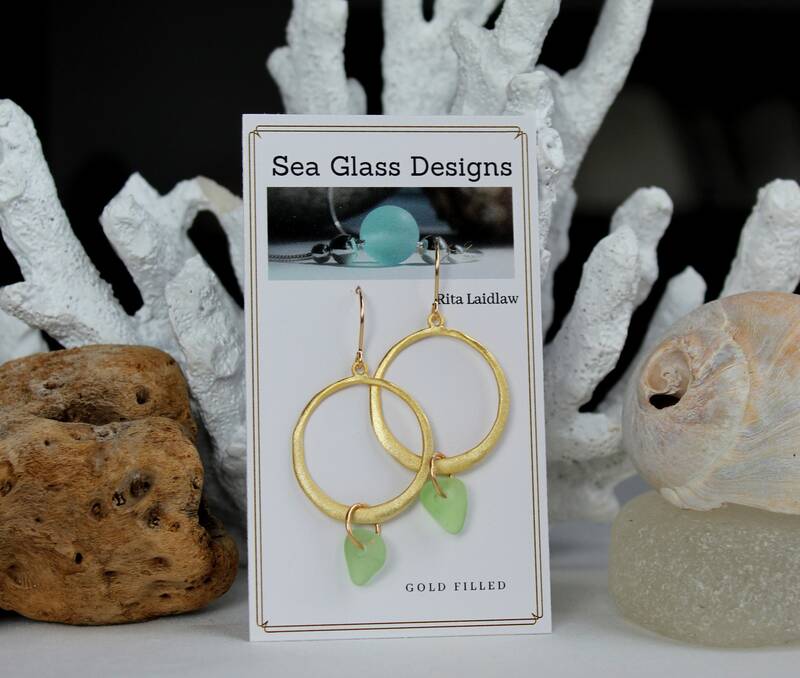 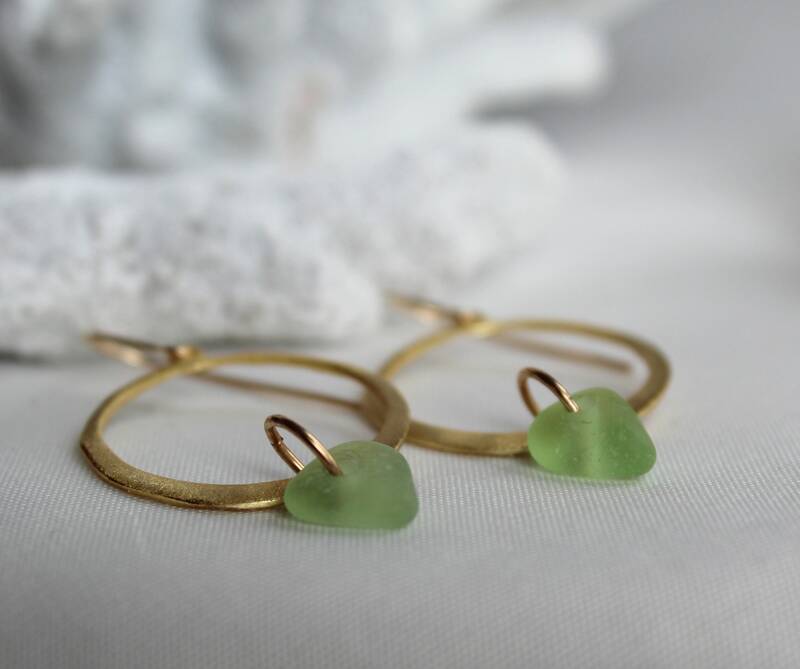 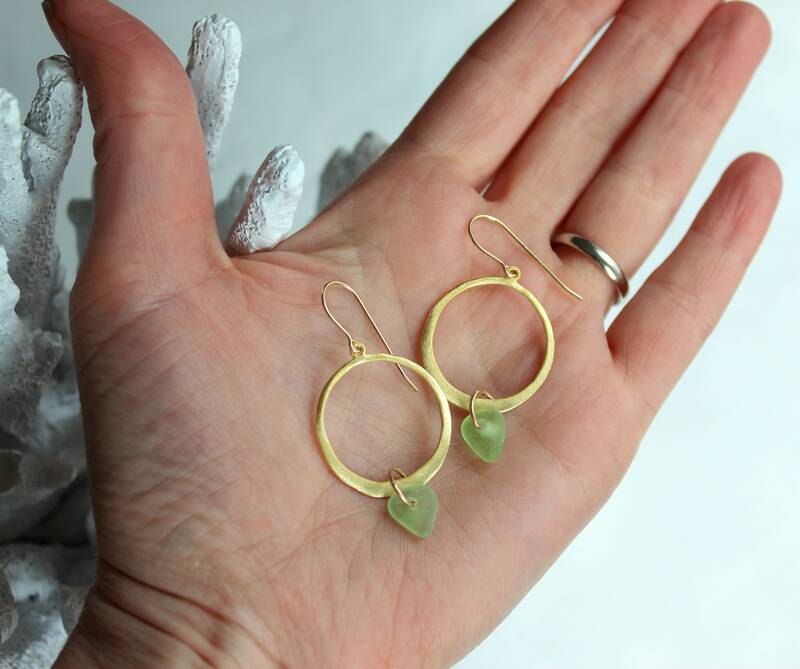 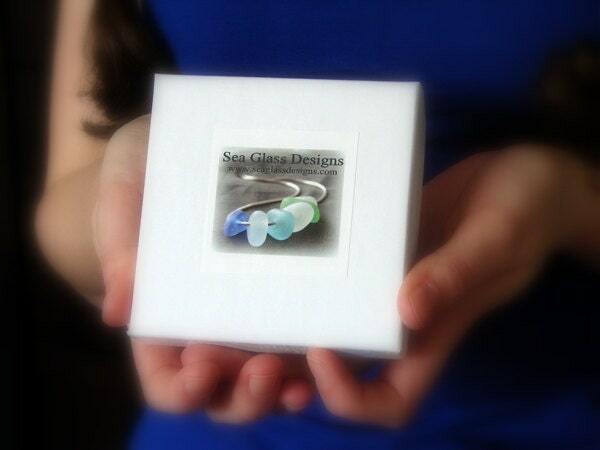 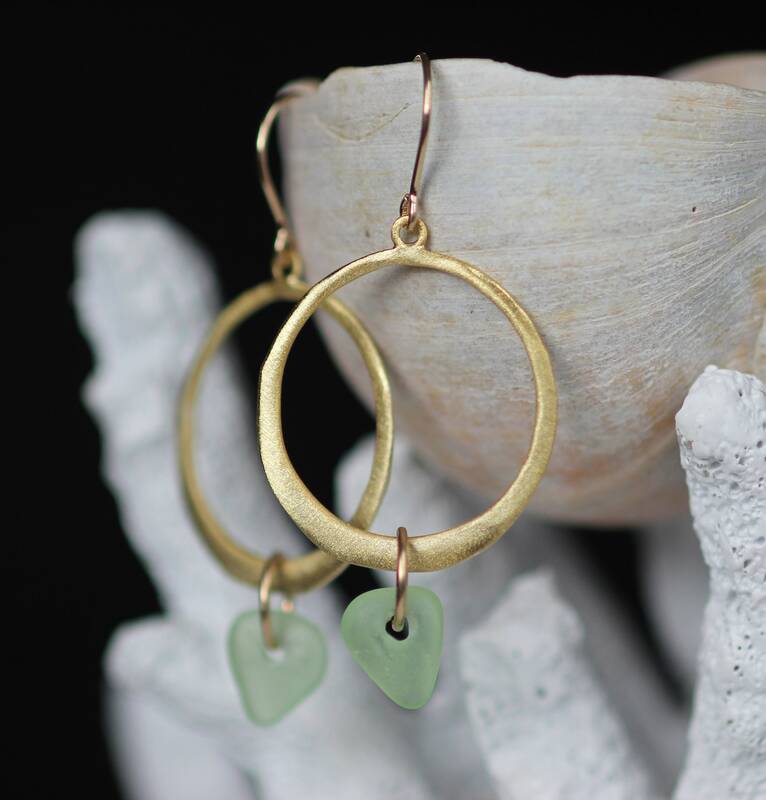 ~ We use only genuine sea glass, the colour in these earrings is seafoam, a soft shade that can be worn with anything.